Meet Gayle Howard. Multi-award-winning resume writer and founder of the Top Margin Career Marketing Group; services that have transformed the careers of thousands of senior executives, consultants, technology leaders, project managers and ‘solopreneurs’ worldwide for almost two decades. As a multi-award-winning résumé writer, published author and Certified Personal Branding Strategist, Gayle has devoted two decades to setting resume writing trends that have made hiring authorities sit up and take notice. 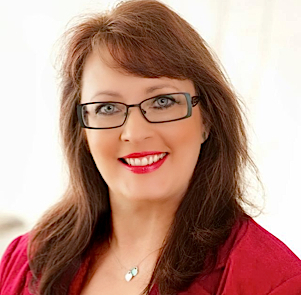 An industry pioneer, Gayle was the first double-Certified Master Resume Writer in Australia—elite credentials still held by only a few worldwide. Published in more than twenty-five international career books, recipient of more than two-dozen TORI awards from 54 nominations, and a specialist in creating unbeatable value propositions for senior executives, Gayle’s writing is bold, authentic and triggers that must-have response in recruiters and employers. Every resume and service bears Gayle’s distinctive stamp of creativity, cutting-edge ideas and honest communications and she brings them all to her book, PS… You Need a Resume which explodes the myths surrounding resume writing. Highly Recommended Certificate, 2004 Australian Achiever Awards for “Excellence in Customer Service”. Best Executive Resume, Best Professional Resume, and Best New Graduate Resume, 2004 TORI Awards. Best International Resume, Best New Graduate Resume, 2005 TORI Awards. Nominee 2007 TORI Awards. 6 Nominations from 8 Categories: Best Executive Resume, Best International Resume, Best Professional Resume, Best New Graduate Resume, Best Career Re-entry Resume, Best Creative Resume. Nominee, two TORI Awards 2011. Best Sales and Marketing Resume and Best Cover Letter. Author, PS…You Need a Resume! Featured resume author in 22 major international career books. December 2016: Listed in the Top Job Search Articles for 2016 from JobMob. November 2016: Acknowledged as one of the Top 27 Resume Writers of 2016 by Careertoolkit. October 2015: Winner: Best Graduate Resume and second prize Best Accounting and Finance Resume. September 2015: Nominated for three TORI awards: Best Executive Resume, Best Graduate Resume and Best Accounting/Finance Resume. August 2015: Resumes featured in Resumes for Dummies 7th Edition. 2006 to Present: Trained and mentored more than 100 professional resume writers to enrich professional development. Numerous students progressed to become accomplished writers, Certified Advanced Resume Writers, and TORI nominees.